The Fox IT Advisory Board Scholarship recognizes exceptional Management Information Systems (MIS) students with $5,000 tuition scholarships. Award: Annual $5,000 scholarship(s) for high performing individuals who demonstrate exceptional potential achievement and accomplishment. Recipients will be recognized at the annual Fox IT Awards Reception. The award is for one year and is not renewable. Eligibility: Bachelor of Business Administration Major in MIS or new transfer to the BBA in MIS and high school seniors committing to the MIS Major. Academic performance: Cumulative GPA of 3.7 or higher. Potential achievement and accomplishment: Submit an essay on why you are deserving of this award and indicate relevant accomplishments. Include a link to your e-portfolio (if applicable). If applicable, provide a letter of recommendation from a Temple faculty member or administrator, explaining why the candidate is deserving of the award. Recipients are selected based on exceptional performance and financial need by a committee chaired by the Fox IT advisory board. Deadline and Submission: There is no formal deadline, scholarships are awarded on a rolling basis each year. To be considered for the scholarship please contact Joseph Allegra at jallegra@temple.edu. 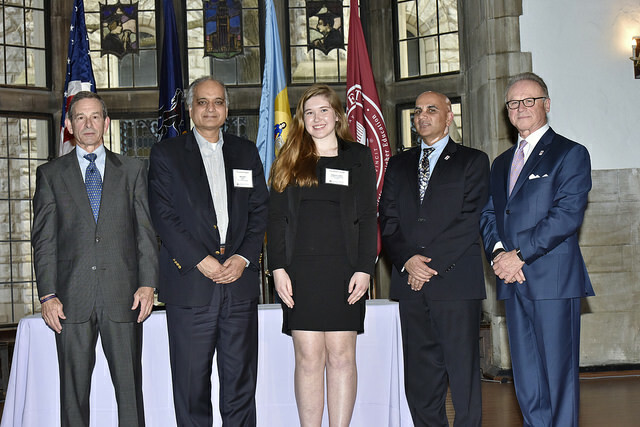 The IBIT Corporate Scholarship recognizes exceptional future Fox MIS students. Award: Annual $5,000(s) scholarships for high performing MIS students who demonstrate exceptional potential achievement and accomplishment. Recipients will be recognized at the annual Fox IT Awards Reception. The award is for one year and is not renewable. Recipients are selected based on exceptional performance and financial need by a committee chaired by the Executive Director of the Institute for Business and Information Technology. Deadline: There is no formal deadline, scholarship are awarded on a rolling basis each year. To be considered for the scholarship please contact jallegra@temple.edu. The IBIT Research Scholarship provides research funding for exceptional PhD students. Award: Up-to $3,000 annual research fund or scholarship for new or continuing PhD students. The research fund can be used for travel, research expenses, or computing equipment. Unused funds can be carried over but must be used before graduation. Award Requirement: Complete a project that is sponsored by an IBIT member firm. Projects may involve analyzing requirements, researching options, conducting literature reviews, designing artifacts, and collecting and analyzing data. The project is to be summarized in an IBIT report within one month of completion of project. The report will be reviewed and approved by two members of The IBIT Report editorial board. 50% of the project fund will be made available upon awarding, and the remaining 50% will be made available after the report has been completed. Eligibility: New or continuing students admitted as PhD students to the Fox School PhD in Business Administration program. Criteria: Academic credentials such as test scores and potential for achievement as evidenced by previous accomplishments and recommendations. The scholarships are only awarded to exceptional students and is a recognition of your previous accomplishments and research potential. Deadline and Submission: There is no formal deadline, scholarship are awarded on a rolling basis each year. To be considered for the scholarship please contact Joe Allegra at jallegra@temple.edu.